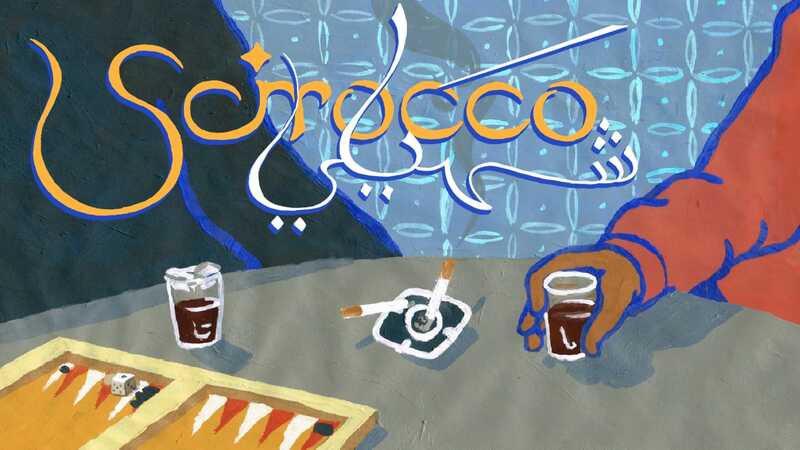 Drawing on the story of Ahmed, a Tunisian migrant to Italy, “Scirocco” shows the impact of deportation policies on migrants crossing the Mediterranean. Italy’s new interior minister Matteo Salvini doesn’t miss a chance to reiterate his views on how to stop irregular immigration to Europe: Italy needs to scale up deportations. Pledging to deport 500,000 migrants during his electoral campaign, Salvini maintains that deportations are key to deter immigration. His logic is simple. Once deported back home, migrants won’t want to risk another dangerous journey, and their expulsion will also work as a warning for others wanting to migrate too. Wanting to research the effects of existing Italian deportation policies, in 2017 the Rosa Luxemburg Foundation commissioned research in Tunisia, questioning if Salvini’s arguments could be confirmed by evidence. The results of such research have opened a new perspective on current debates concerning deportations. Looking at deportations statistics, Italy and Tunisia have one of the most efficient agreements currently in place. The data provided by a parliamentary review of the National Guarantor for Detainees Rights reports that in 2015 out of a total of 2,850 deportations, 35 percent was made up of Tunisian nationals, a percentage that grew to 43 percent in 2016 and — according to official data from the Italian police — to 62 percent in 2017. In 2016, the Italo-Tunisian bilateral agreement meant bi-weekly deportations happening through charter flights repatriating Tunisian migrants to Hammamet airport, for an expenditure of more than 100,000 euros per flight. But what happens to those who get deported back? Before the popular uprisings of 2011, the Tunisian government punished irregular migration with three years’ imprisonment and fines up to 8,000 dinars (over ,.500 euros at the time) extendable to the migrant’s family. Such measures were used as tools to suppress political dissent more than to curtail emigration. Popular hatred towards this provision was so strong during the 2011 uprisings that, following the fall of Ben Ali’s regime, the transition government suspended the law, effectively changing what returnees face in Tunisia today when expelled by Italian authorities. According to direct testimonies, past police registration at the airport, most deported Tunisians get either driven north or south, towards Tunis or Zarzis. From there, they are dropped to return home alone. Few are the ones kept for questioning or detained by Tunisian authorities, especially if signaled for any criminal activity in Italy. Even fewer are those who manage to access social and economic re-integration schemes put up by EU projects and other European development agencies, mostly small-scale microcredit projects poorly monitored and funded. Without an effective plan to support those who return, migrants are sent back to face the same situation they had tried to escape in the first place. Hardships and frustrations tied to chronic unemployment and a stagnant economy lead thousands of young Tunisians to dream of reaching Europe every year. They would arrive legally if they could, but it’s virtually impossible to get a visa unless already endowed with money in the bank and the right connections. “Guarantees”, they call them at the consulates. Other than working as a deterrent, deportations become nothing more than a risk that must be taken, sometimes over and over again, by those who continue to seek for a piece of Europe. Many know that because of their irregular entry they might get deported. But this doesn’t stop them. They come back risking their lives, and they’ll keep coming unless a safer, legal way is offered to them. The same one young Europeans are granted everywhere. Scirocco: A Case Against Deportations (2018) is a short animation movie produced by the Brush&Bow collective and by the Rosa Luxemburg Foundation, directed by David Suber, Hannah Kirmes-Daly and Leonard Ermel. Based the research “Failing readmissions: If sending migrants back won’t work”, the animation draws out the story of Ahmed, a Tunisian migrant who was deported and returned to Italy, drawing attention to the failures of Europe’s deportation policies.